Welcome to Comics I Read Last Week, where I talk about comics that I read last week. It's pretty simple really. 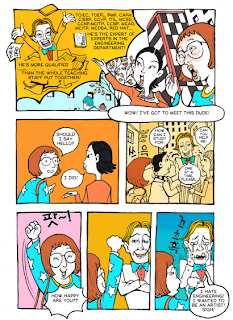 "In Korea the current generation of college students face fierce competition for jobs. Even when they finish their schooling, many will be lucky to find jobs that pay $1000 a month. After taxes and deductions, that leaves them living off of $880 per month. 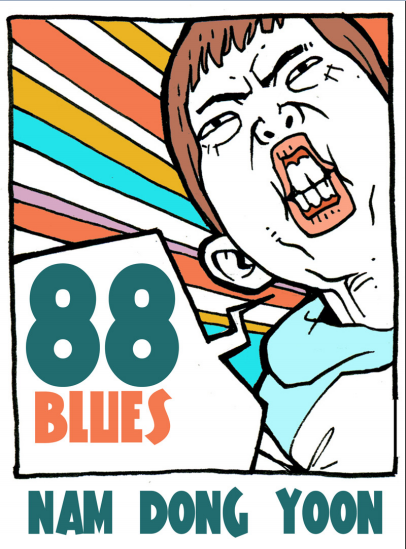 This is the 88 Generation. This is their story." Where Son of a Father felt a little hit and miss to me, I found 88 Blues much more entertaining. It's a pretty short one, 27 pages including covers and title page, but it's really good and think the shortness works for it. That is a big damn list of people, but I suppose that's what you get with seven issues with only three of them being consecutive. At least they're all from 1990 and 1991. That's something at least. Like the Slimer! comics I mentioned last week these were published by Marvel in the UK and Now Comics in the US. They even have a half page version of the very Beano like strips from the Slimer! 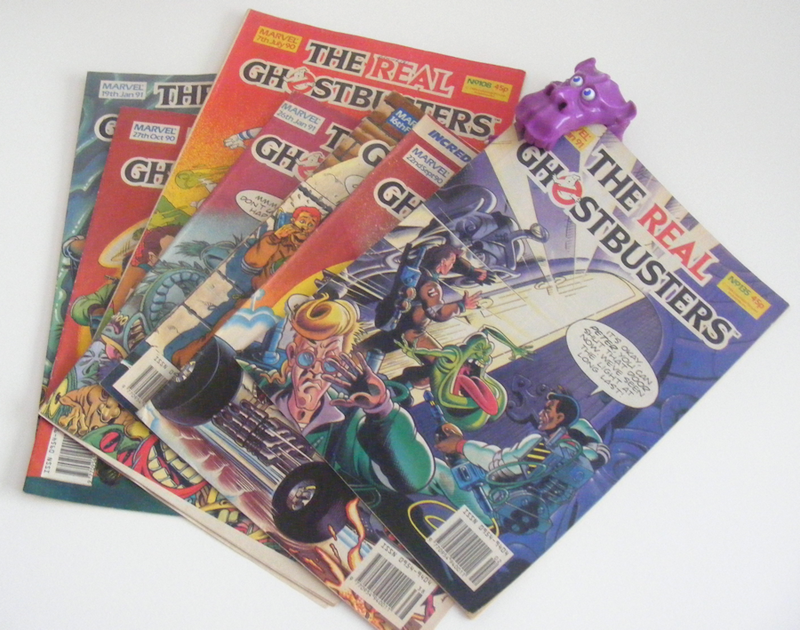 comic and issue 140 contains a five page Slimer! (complete with the ! 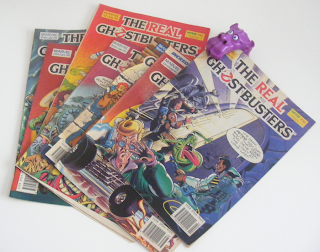 in the header image on the first page), with appearances by two of Slimer's supporting cast from that title. -in castors and towing strap." ...and a heavily Douglas Adams inspired piece on the nature of wishes. There' also a feature in some of them called Winston's Diary. I'll assume I don't have to explain what that one is. 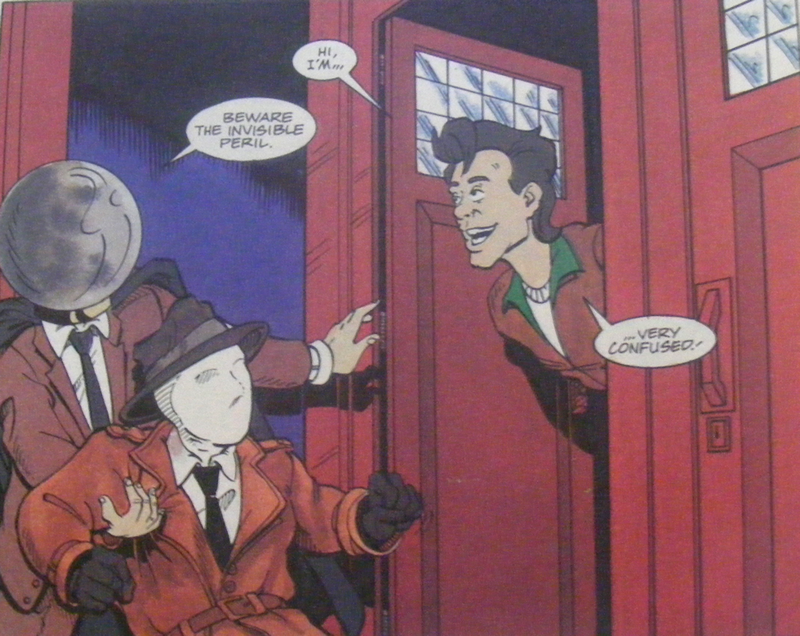 Issue 136 is an odd one. The main story, titled The Return of the Frightful Four, features the return of three of the Frightful Four and their clever scheme to release their fourth member from the containment facility. Where things get weird is when one of the team try tearing a hole in reality leading into the containment facility and instead comes out on another page of the comic. 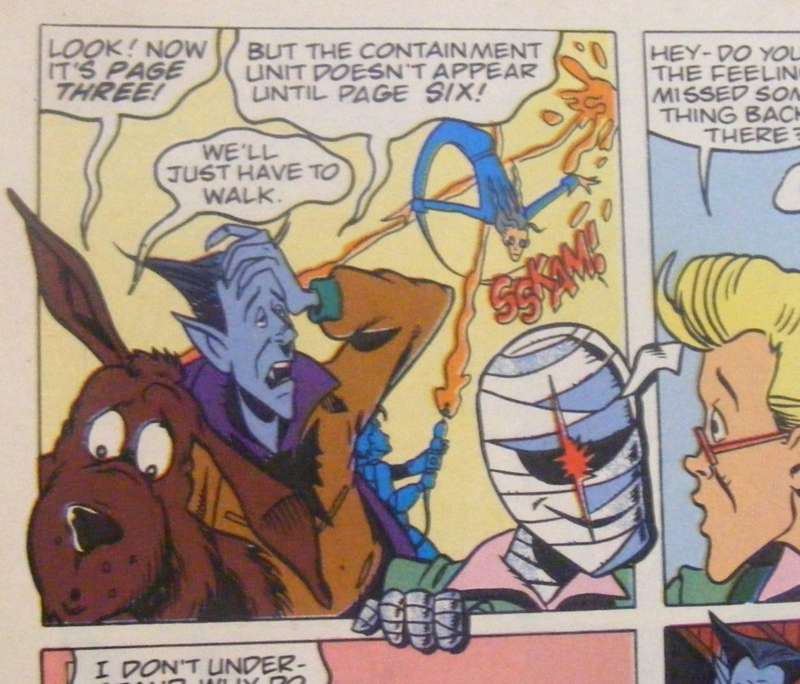 To get out of the scene they're in the characters climb right out of the panel and into another, which is already odd and fourth wall breaking, but it gets odder, because they don't just jump around in the story. They end up elsewhere in the issue as well, appearing in Winston's Diary and the Spirit Guide. It's pretty funky. Other stories include a dead tennis player turning up several years late for Wimbledon, a wishing well that actually works, a mysterious door that appears in someone's house, a party in the underworld, an inter-dimensional portal that just happens to be in the Ghostbusters' fire station, a sleepwalking spectre, a possessed bicycle, a very quickly scuppered revenge scheme by the son of Gozo, son of Goza (y'know, the one who unleashed a giant marshmallow on New York) and the appearance of a couple of ageing in superheroes, one of which looks more than a little like the Question. They're fun comics and I wish I still had more of them. 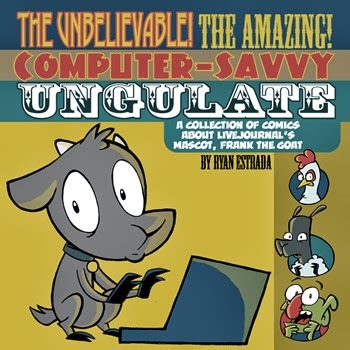 Frank the Goat is the official mascot of Live Journal. Once upon a time Ryan Estrada wrote and drew his official comic. The comic's in four chapters. Chapter one, Ballard tells the tale of how Frank got his job in t he form of a song performed by Frank himself. I like the fact that this chapter's drawn in two different styles. 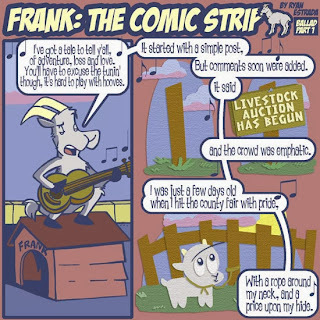 Current day Frank is drawn in the same style as the other chapters, while scenes from the past are done in a very different one. 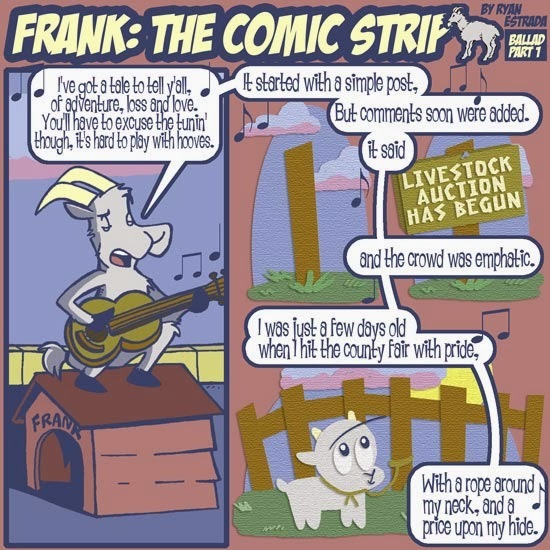 Chapter two is all about Frank's fancy date with a sheep called Meme (pronounced Mimi). She has a very odd way of talking. Chapter three is a good old fashioned murder mystery. Seven characters who (mostly) don't know each other are invited to dinner only to find that their host is dead, but who did it? Finally in chapter four Frank (and a bunch of characters from the other chapters) have to deal with a cursed tag. 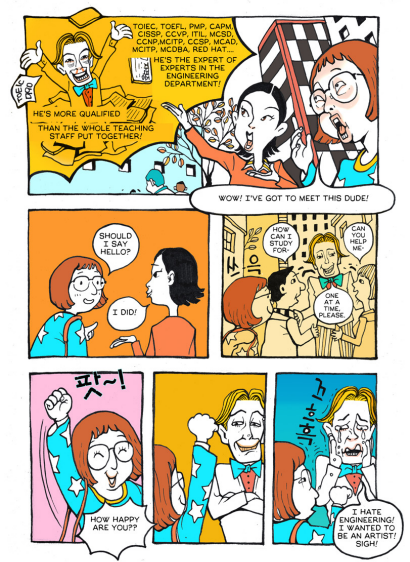 It's a really neat comic and you can read it here. Now, I did mention last week that I'd be covering volume one of Battle Angel Alita as well. Well, that was the plan last Wednesday when I knew where it was. See, I'd only read twenty or so pages at the time and, well, um... I lost it. I'm sure I'll find it again though. Anyway, come back next week for more reviews hopefully including that temporarily misplaced copy of Battle Angel Alita.